Matt’s passion for competitive running began in high school when he signed up for the cross country team. Over the next 30 years Matt became one of the premier mountain runners in the United States and was considered by many the best high altitude mountain runner in the world. He has run up and down mountains in Europe, Kenya, Mexico, Nepal and Tibet. Matt is the record holder of the fastest times for a flat marathon held at altitude – 2:52:57 at 14,350′ and 3:22:25 at 17,060′. In 1993 he set the still standing course records for the Pikes Peak Ascent and Marathon with times of 2:01:06 and 3:16:39. In 2001 he became the first person to win the Ascent and Marathon on back-to-back days — a feat he repeated in 2007. At the 2005 Leadville Trail 100 mile race he shattered the course record by over 90 minutes to 15:42:59. In 2008 he broke the 31-year-old course record for the Mt Evans Ascent. 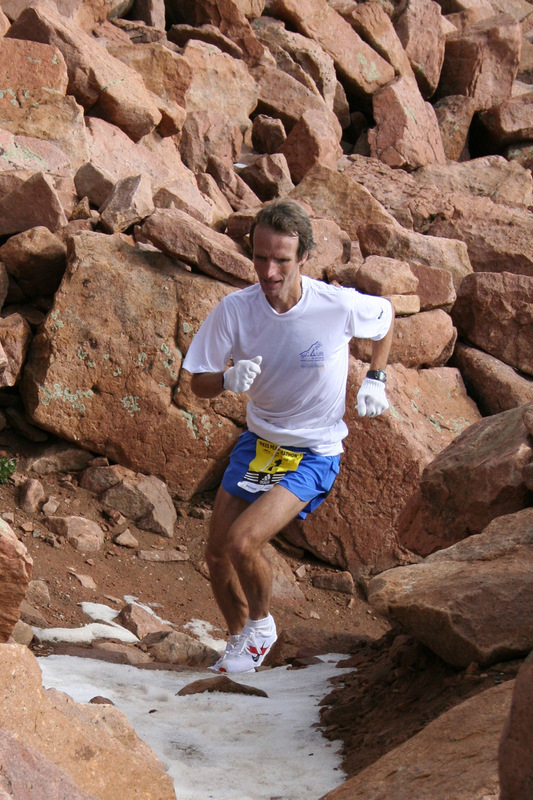 In his last race, in 2011 at the age of 47, he won the Pikes Peak Marathon for the 6th time in a row bringing his total wins on the mountain to 18 — 6 Ascents and 12 Marathons. Throughout his career Matt strived to give back to the sport that had taken him so far. He served as the president of the Pikes Peak Road Runners, co-founded the Incline Running Club and managed several races including the Barr Trail Mountain Races on Pikes Peak and the Garden of the Gods 10 Mile Run in Manitou Springs. These races raised nearly $100,000 for area high school cross country teams through hugely popular aid station challenges. Matt is now the owner and manager of the Colorado Custard Company in Manitou Springs, Colorado, where he lives with his wife, Yvonne, and daughter, Kyla. He has not run less than an hour a day in almost 3 years.